YWCA Northeast Indiana is dedicated to eliminating racism, empowering women, and promoting peace, justice, freedom, and dignity for all. 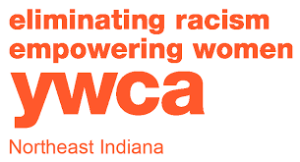 For over 122 years, the YWCA of Northeast Indiana has focused on eliminating racism, empowering women, and promoting peace, justice, freedom and dignity for all human beings. The YWCA of Northeast Indiana strives to provide safe places for women and girls, build strong women leaders, and advocate for women’s rights and civil rights in Congress. To the end, the YWCA Northeast Indiana has intentionally stuck to and honed in on “what we do well,” according to Deborah Beckman, executive director. Beckman comments, “We feel like we are the experts in domestic violence and that is what our staff is trained to do.” In addition, one of the YWCA Northeast Indiana’s key areas is racial justice which offers English as a second language, GED and citizenship classes specific to non-English speakers, as well as, computer courses to assist with job placement and increase employment opportunities. According to Beckman, the success of the programs rely on building trust and cultivating a culture of volunteerism. 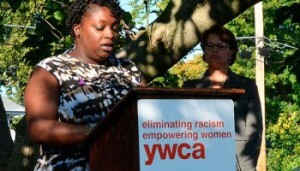 For over 122 years, the YWCA of Northeast Indiana has been focused on the empowerment of women and racial justice. Founded on Christian principles, the YWCA Northeast Indiana’s mission is to eliminate racism, empower women, and promote peace, justice, freedom, and dignity for all. To this end, this organization has proven successful, especially in two core service areas: addressing domestic violence and promoting racial justice. Heather Law (a bill designed to encourage schools to address adequately, issues of dating violence and healthy relationships). The YWCA Northeast Indiana encourages self-sufficiency of its clients and students through one-on-one case management, advocacy, and tailored safety planning as both a community-based program as well as a longer term home-based program. The YWCA Northeast Indiana staff works directly with clients in their homes to make sure they are re-building their lives after the crisis of domestic violence, by going back to school, cultivating new employment plans, or learning to maintain their own residence. According to YWCA Northeast Indiana leadership, any of these tools can work towards self-sufficiency. When asked which components of the program that are replicable to other organizations, the YWCA Northeast Indiana identified the education pieces. Much of what the YWCA Northeast Indiana does is to educate and increase awareness because it is tough for people to understand what healthy relationships look like. Also, in the age of technology, YWCA Northeast Indiana is expanding their services. By initially starting with implementing education components of their program at the middle school and high school stage; the organization is now doing a lot of work with digital bullying and technology in the elementary school age children as well as parents. Over the past few years, this program has grown to include multiple classes that were specific to non-English skills and also citizenship classes. For instance, in 2015, the program assisted 15 students in gaining their citizenship. While the overall YWCA mission statement is the same across the United States, the local affiliate’s program services are tailored to individual communities. Although they offer some of the same programming of domestic violence and provide aftercare programs, the uniqueness of any YWCA is that its design is based on the needs of the community. Therefore, YWCA Northeast Indiana is not duplicating what another YWCA is implementing because each’s programs are community catered. Beyond refugee immigration education programs, the YWCA Northeast Indiana also offers an exemplary communication program, the Diversity Dialogue. The Diversity Dialogue is a program to encourage awareness and acceptance of diversity. The YWCA Northeast Indiana’s Diversity Council hosts monthly Diversity Dialogues, where they invite panelists and guest speakers to help lead the community in compelling conversations on interesting topics relevant to the community. This initiative started with the YWCA Northeast Indiana’s racial justice programming many years ago as an avenue to train staff. The staff would discuss some of those difficult topics and learn about different cultures and how to relate it. It started out as a staff training and then gradually evolved to engage the community in discussions with the staff. The dialogue sharing events are hosted on a Monthly basis during the lunch hour. The conversations include community stakeholders, such as community groups and coalitions, to help identify topics and issues for discussion. For instance, one topic was a stand against racism, which was hosted in conjunction with a local art gallery and showcased an art display on racial justice issues. Staff requests community stakeholders and residents to provide feedback on each of the different dialogues and suggested topics which are reviewed at the end of the year to prepare for the following year.